Elegant Conference Tabletop Features 3mm Reeded Edges And Is Part Of The Lorell Chateau Series. 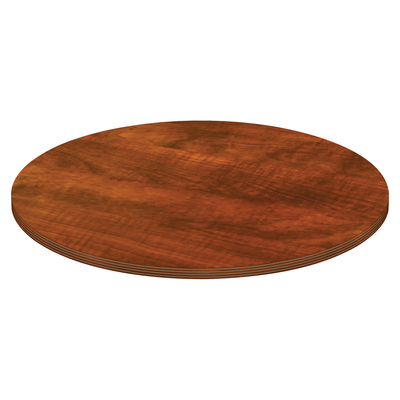 The 1-3/8" Thick Round Top Is Finished With A Durable Cherry Laminate. The Almost 42" Width Provides A Great Place For Intimate Meetings. Base Equipped With A Modesty Panel Is Sold Separately.. Elegant Conference Tabletop Features 3mm Reeded Edges And Is Part Of The Lorell Chateau Series. The 1-3/8" Thick Round Top Is Finished With A Durable Cherry Laminate. The Almost 42" Width Provides A Great Place For Intimate Meetings. Base Equipped With A Modesty Panel Is Sold Separately.